Sun flare, sun flare, and more sun flare!!!! 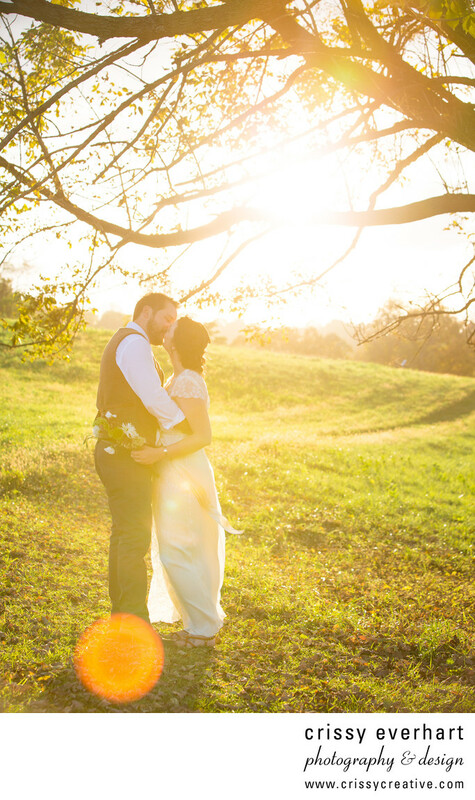 An October sunset wedding in a nature preserve means tons of opportunities for sun-lit images like this one. This couple had a small ceremony with only a handful of close friends and family, and got married at the top of the hill under a large tree, with rolling fields all around them. It couldn't get any more "Chester County" than this!! Location: 454 N Creek Rd, West Chester, PA 19382.